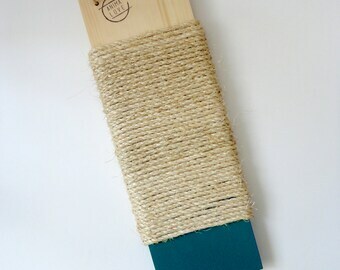 This cat scratcher is made of sisal, cat's favorite material for their claws ! 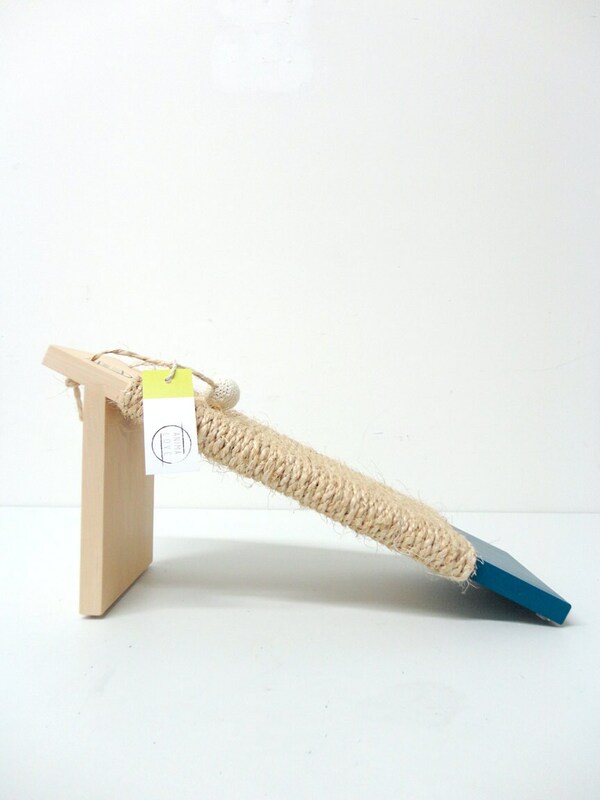 It's anti slip, so your cat get grip it with all his strenght! The angle gives a nice position that most cat enjoy. 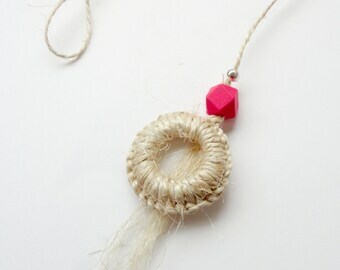 To help your cat get used to the scratcher, put some catnip or play on it so he can feel his claws in the sisal rope. It's a nice add to your decor and it's totally enjoyable for our eyes as well with his minimal design, inspired by Scandinavian style. 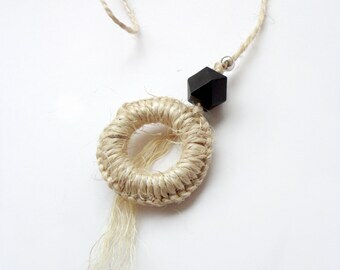 > Materials: Pine from Quebec, Painted and varnished with water based products, sisal rope 1/4" diameter, felted wool ball or wooden ball with cotton crochet. 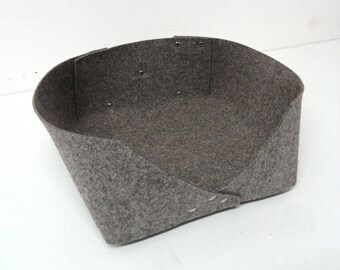 > Dimensions: 6" x 18"x 7"
If you want a different ball on the top, ask us, we can probably change it for you!